Bucharest is one of those cities that you can’t appreciate at first sight and that, on the spot, it doesn’t really leave you speechless with its beauty. It’s a very common thing for Eastern cities. 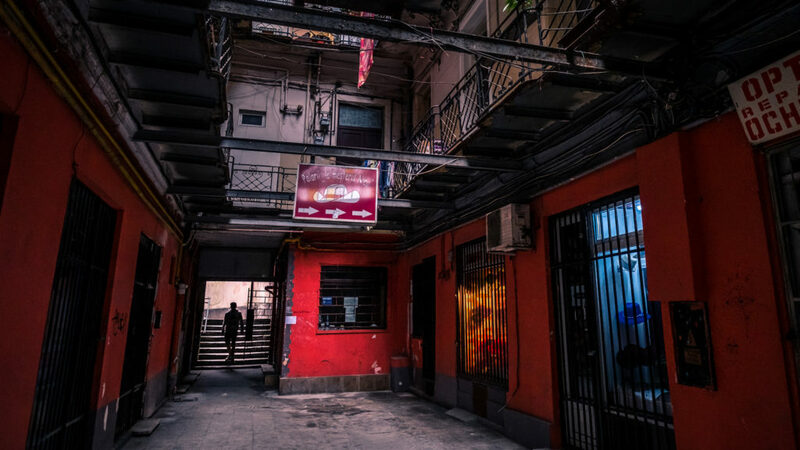 You really need to experience Bucharest in a different way, you need to discover its darkest secrets and its underground culture, which is one of the most interesting you will ever find. In this little guide of Bucharest, I will guide you through the city, I’ll show you the most classic things to visit and to do, but also the less popular ones, and of course what and where to eat in Bucharest. Bucharest is closely tied to modern history. From the end of WW2, the Romanian capital was led by the Communist regime of Ceausescu, who dismantled many buildings of the Belle Epoque to make room for gigantic structures and palaces that were built only to prove to the rest of the world how great the regime was. With the fall of Ceausescu, Bucharest had to face several issues that, even today, influence the city. However, a broken social fabric, lack of political preparation and the need to start from scratch make Bucharest one of the most peculiar cities in Eastern Europe. Today Bucharest is a lively and active city, both from the political and cultural point of view, and it’s the decadent architecture that makes it a really interesting city to discover. 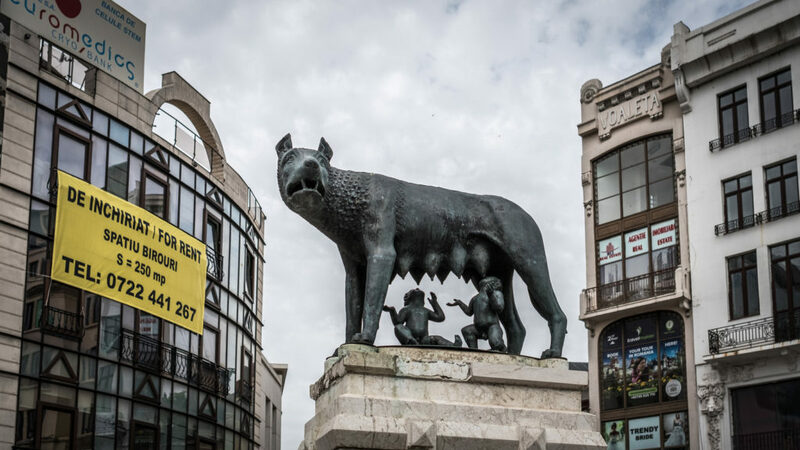 The image below is not fake: the Capitoline Wolf is at Bucharest too, proudly representing the bond with Ancient Rome – after which the country is named. Shaken up by an earthquake in 1977, Bucharest is considered to be one of the cities more at seismic risk. Going around the city and looking up, it’s pretty common to see red-flagged condemned buildings. Yet the buildings are not empty, people live there at their own peril. Surprisingly enough, unlike what one would commonly think, the Romanian cuisine is full of interesting flavors that perfectly fit with more traditional and simple recipes. 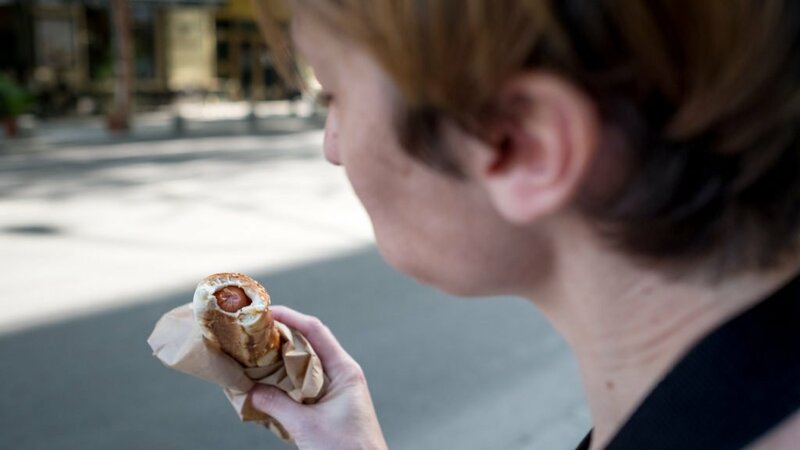 Eating in Bucharest is really simple: the city is famous for its street food and its traditional risen sweets, even salty ones. On every corner, you can find bakeries and delis that offer nourishing and delicious street food. Take your time to taste the covrigi (pretzels), gogoasa (fried donuts), merdenele cu branza (cheesy pastry). In the city center, I suggest you try the super famous Caru cu Bere, where you can taste, in a really traditional atmosphere, all the most important dishes of the Romanian cuisine. It’s a very touristic place, but you can find plenty of locals there too. You should also try, if you want to enjoy real local food, Bureibista Casa Bacu, Decebal 17, Teraca Mamnei and Taverna Lu Romica. These are all food places specialized in Romanian food and they are less touristic than the other one. Definitely try to drink all the Romanian alcoholic distillates that are officially recognized by the European Union, like the ţuica, pălinca, rachiuri din fructe”, tescovina, vinars. And if you are more into beer, then try the Ciuc or the Ursus, they are the most famous ones. The People’s House, as it was called during the Communist regime, was later renamed Palace of Parliament. It is the second biggest building in the world for extension and it was commissioned by Nicoale Ceaușescu who literally demolished an entire neighborhood for it. With a lavish looking outside, the inside is even more luxurious. Today it is the Parliament’s seat and you can visit the inside since the majority of the rooms are not used. The Old Town is, actually, not really Old. It was built under commission less than 10 years ago to give new purpose to a completely abandoned area of the city. 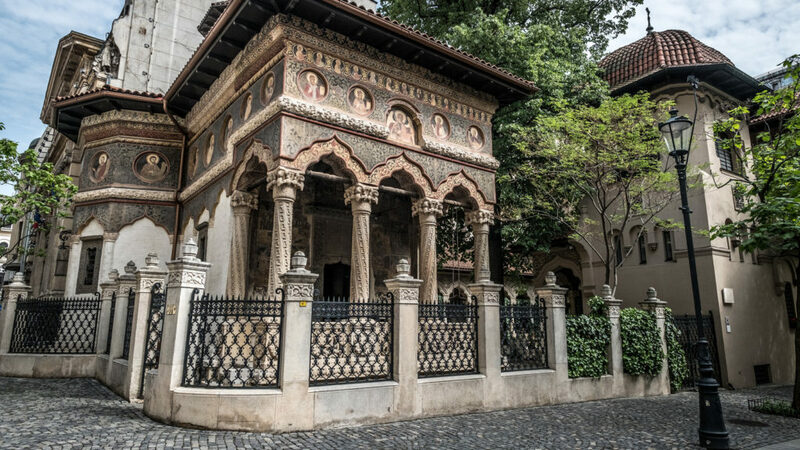 Today the Lispacani’s area is home to many night pubs, restaurants and a few monuments that are couple of centuries old, like the ruins of the princely mansion that was built by Vlad Tepee, the Curtea Veche or the National Bank. You cannot miss the three churches Biserica Stavropoleos, Biserica Curtea Veche, Biserica Ortodoxă rusă a Sf. Nicolae and the Hanul Manuc, the most ancient hotel in the city. The rich zone of Bucharest, characterized by an incredible long avenue that is also the oldest one. 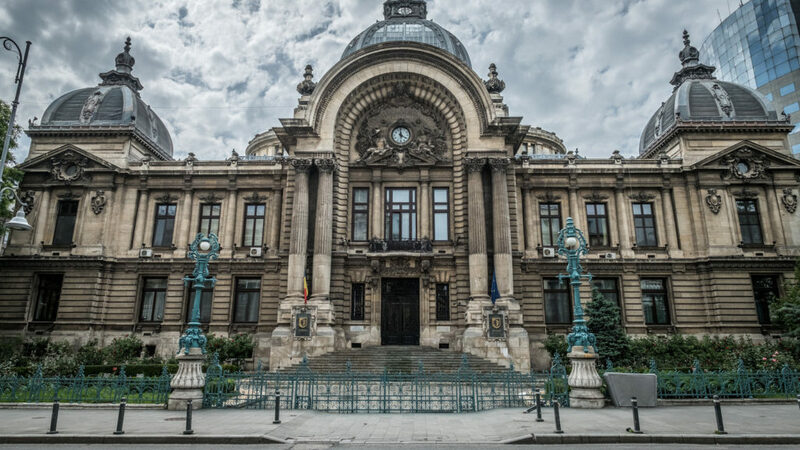 Here you can visit the Piata Revoluției (Revolution Square), the Memorial of Rebirth (also known among locals as the “Potato on a stick”), the balcony from which Ceaușescu made his last speech in 1989 before being dismissed, the University Palace and the Ateneul Roman Auditorium. 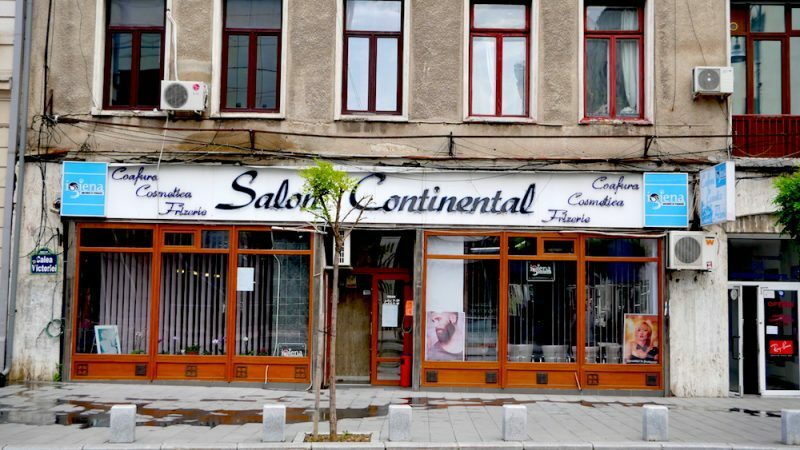 The little Paris, name gained thanks to the architectural references to the French city, was destroyed during the Ceaușescu’s regime. However, you can still see some buildings, the many parks and the long boulevards that will remind you, of course, of Paris. You cannot miss a visit to the Cismigiu Gardens, where you will be able to enjoy a walk between lakes and centuries-old trees, or to the Herăstrău Park and the Şoseaua Kiseleff that is close to a copy of the Arc de Triomphe. A good way to discover the most classic side of Bucharest is to jump on a bike and join the Crash Course di Romania Slow Tours: in this case, it’s not about visiting different places, but rather looking at them from a different perspective in order to enjoy the city in a very peculiar way. It is true, you can count the standard stuff you can visit in Bucharest on the fingers of one hand. 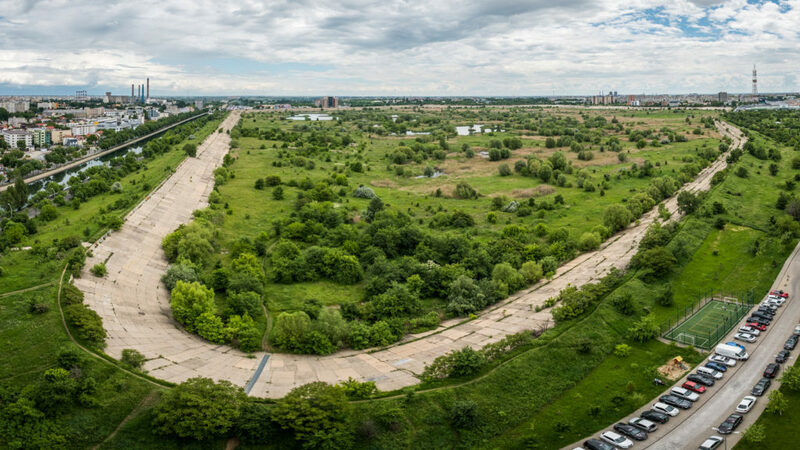 However, it’s not the case when you start considering the more hidden parts of Bucharest, the ones that a tourist only coming through the city will not care about. Those parts, trust me, speak volumes about the kind of city Bucharest is. 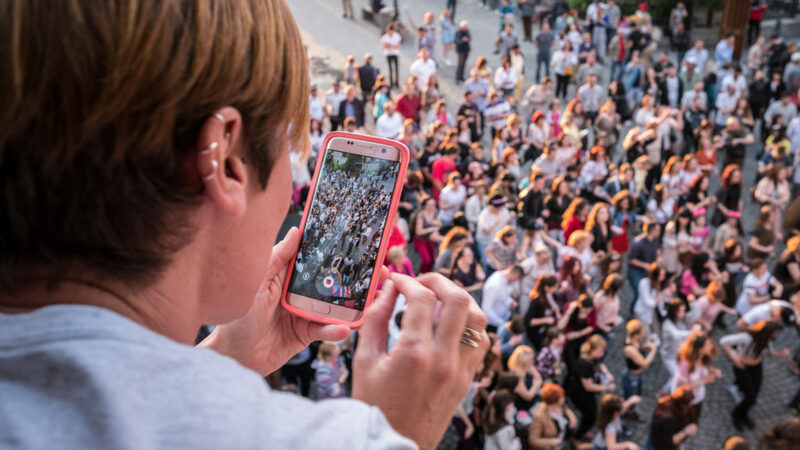 I am talking about an underground Bucharest made up of abandoned buildings, the Bucharest of dozens of murals painted as expressions of protest. The street art has always been a way to protest and, especially in Bucharest, it’s a way to show a willingness to change things. The entire city is covered in graffiti and murals which might communicate very little, if you are not aware of the hidden meanings. A good way to discover more about this trend is to take part in the Alternative Tour organized by OpenDoorsTravel. You will be taken to areas ignored by tourists and, above all, you will learn what’s behind all those murals and which political movements inspired them. 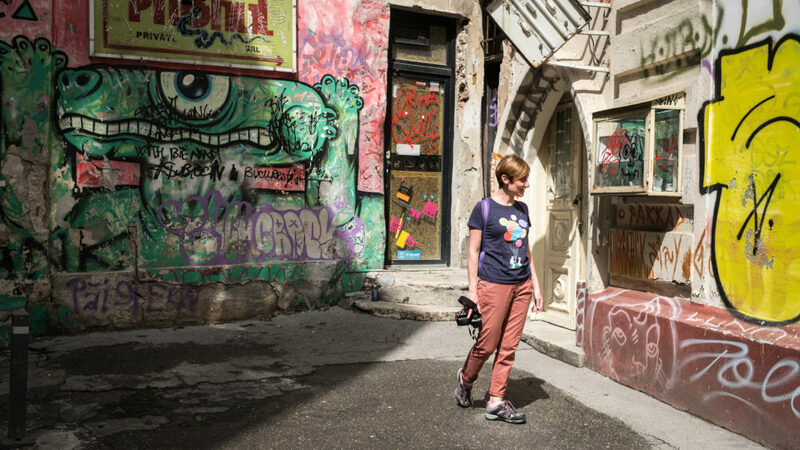 The tour will come to an end in one of the most interesting areas of the city where, every year in June, an entire street gets left in the hands of artists that will embellish it. Warnings: on this tour, you will walk a lot. Make sure to wear comfortable shoes and to take with you a bottle of water if it’s warm outside. 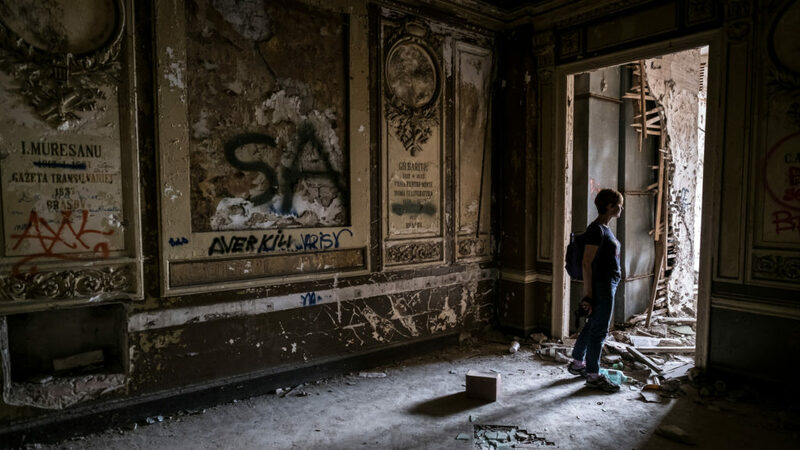 If you love, just like me and Giuseppe, abandoned industrial architecture, then the Beautiful Decay tour will take you to abandoned buildings, closed factories and nameless streets where the old dominates the new. You will also find out that in Bucharest, these days, the most common thing is to demolish what already exists, even if decadent, old buildings are fascinating and unique in their own way. Warnings: this tour will take you through abandoned places. Make sure to wear comfortable, closed shoes, hiking boots if you have a pair. 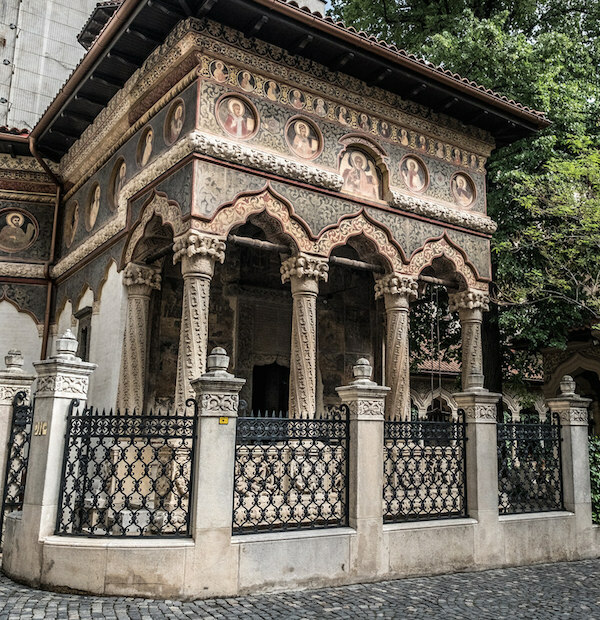 If you like ‘’peculiar’’ places, then theBellu Cemetery Discovery Tour is what you are looking for: the tour begins in the center of Bucharest only to take off and go to discover the most famous cemetery in the city, one that is full of interesting stories, believe me. From there you cannot turn back and the rest of the tour will take you through all the obscure hide spots of the city, telling you stories about an active serial killer of the city. Lastly, I recommend you the Vacaresti Tour, a tour that will help you discover the only river delta of Europe, which has also recently become a natural park. It’s not very far from the center of the city, but it used to be yet another abandoned area. Today, after hard efforts to give it a new purpose, the area is requalified and is the home of many rare and unique animal species. Bucharest is a city that’s very cheap for Italians and the quality of a lot of touristic structure is very high considering the price. I personally would recommend Radisson Blu. It’s in a very strategic location in the luxurious Calea Victoriei and the center is only a walk away from there. 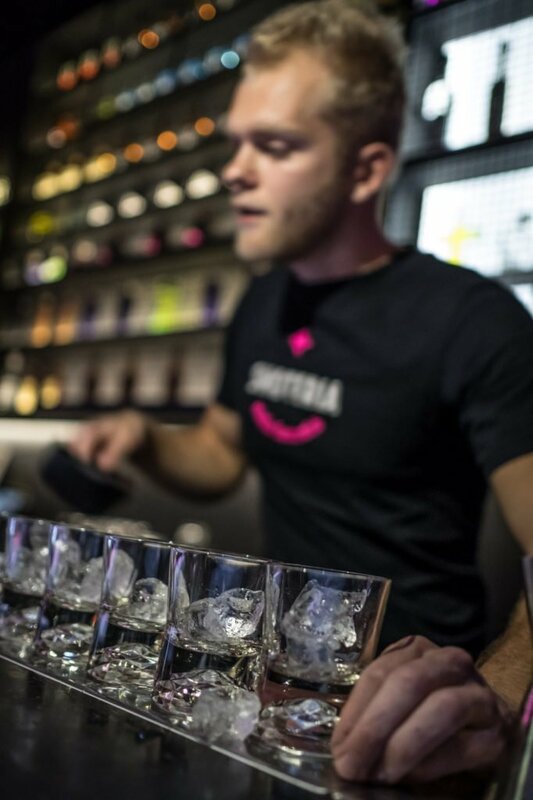 If you are visiting Bucharest looking forward to enjoying its nightlife, you won’t be disappointed. Lipscani street and all the adjacent streets are the very heart of the city nightlife. They are full of restaurants, pubs where you can drink, pubs where you can dance and fleshpots. A lot of the hotels in the city also sport a bar open even for those who don’t have a room there to enjoy a beer or a cocktail in relaxing and quiet atmospheres. A very special bookshop that has been obtained from an abandoned mall after the fall of the Communist regime. Today it’s definitely one of the most beautiful places of the city. The one that you can see in the picture below is the main library, but there is another one, less touristic and with an incredible coffee shop inside, that you can find on Pictor Arthur Verona Street. A balcony overlooking Bucharest’s red rooftops. A very particular place. Once an ex promiscuous English hotel, today it’s the home of some old-style apartments (with a common bathroom per floor) and of one of the most amazing shops in Bucharest: you will find there a traditional hatter that will charm you with his stories. The biggest city park in the city. Here you will find lakes, bike lanes and whatever you might need to finally unwind! How many days do you need to see in Bucarest? A weekend is enough to visit the city, but that would only scratch the surface. You will need at least 4 days to really enjoy the city all the way through. They will tell you that Bucharest is a dangerous city, but it’s no different than any other big city in the world.